Blackberry season is in full swing and if you’ve gone on any walks recently, you probably will have seen blackberry bushes full of branches that are heavy with fruit. Blackberries are one of the easiest fruits to ‘forage’ or pick in the wild for free, as long as you make sure you aren’t on anybody’s land and are certain its blackberries you’re picking. If you decide to buy them from a shop, be sure to have a look at the local greengrocer’s first, you’d be surprised how cheap these delicious fruits can be at this time of year. We managed to buy punnets for only 89p each! Jam-making sounds incredibly fancy and complicated, but its actually really really easy. 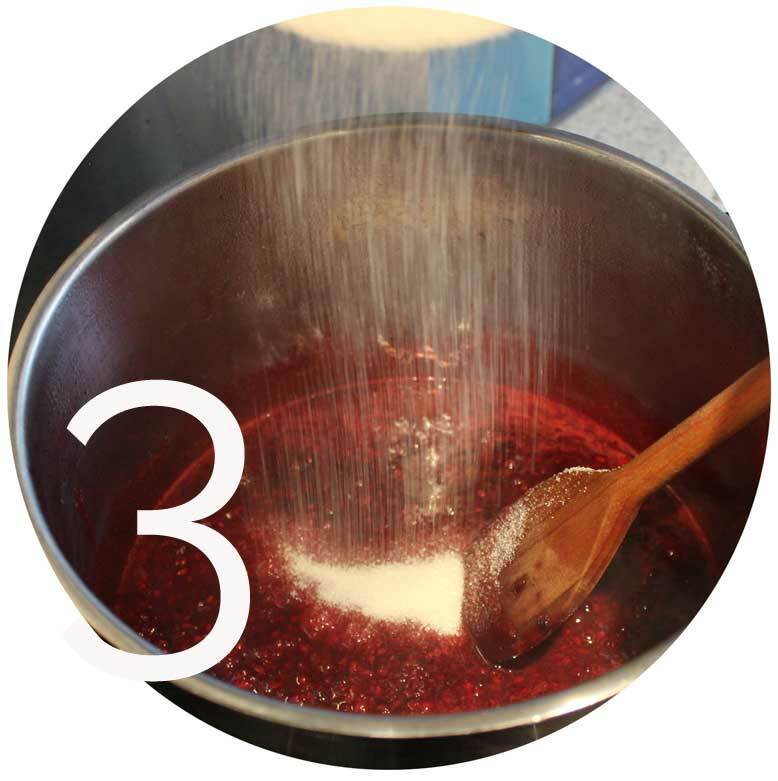 The basic principle is that you cook the fruit with sugar and add a gelling agent like pectin, in order to preserve it. This means that you can preserve fruit that is fresh now and eat it in winter-time, when the season is over. The only tricky part of jam-making is the fact that you have to sterilize the jars by pouring boiling water over them, and then dry them with a clean towel. 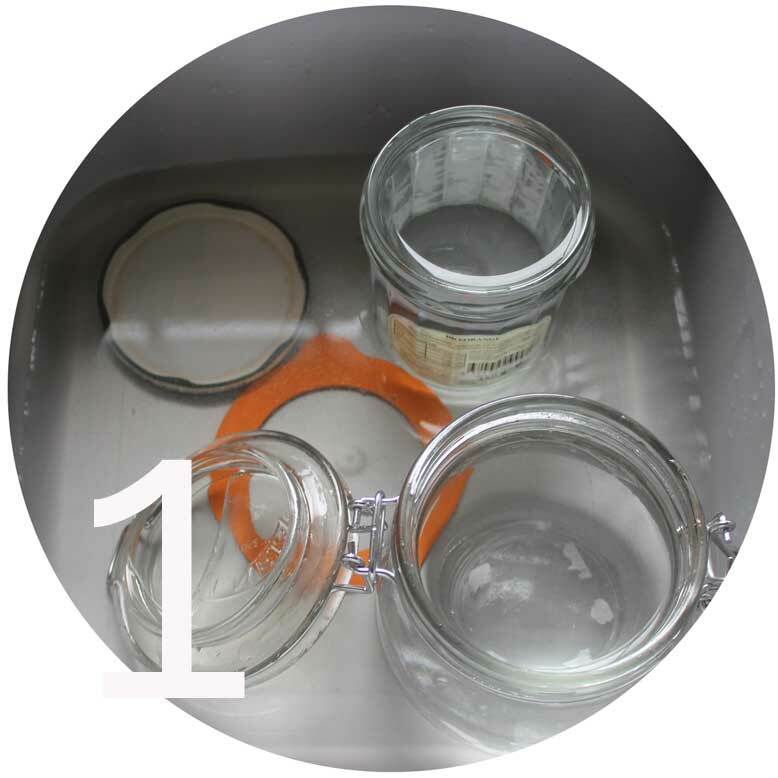 If you don’t properly sterilize your jars, the jam will go mouldy quite quickly. 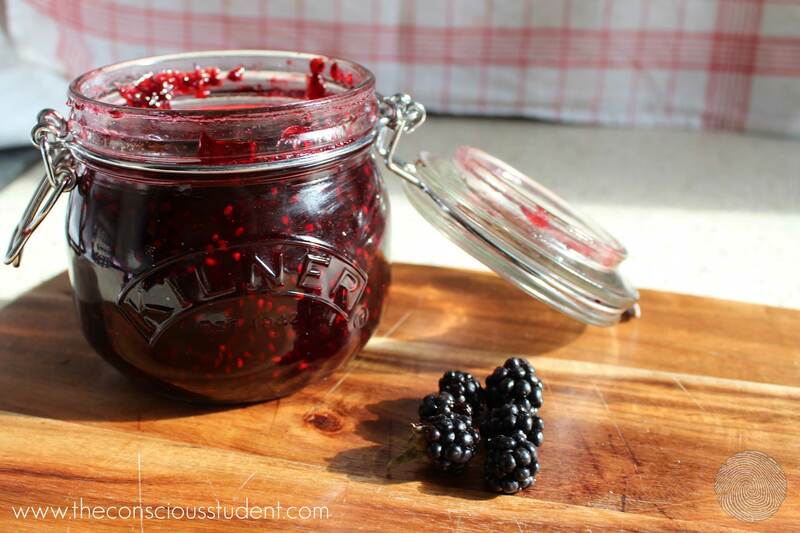 The total cost of making 2 large jars of jam is about 3.70 if you buy the blackberries, and significantly less if you forage them. 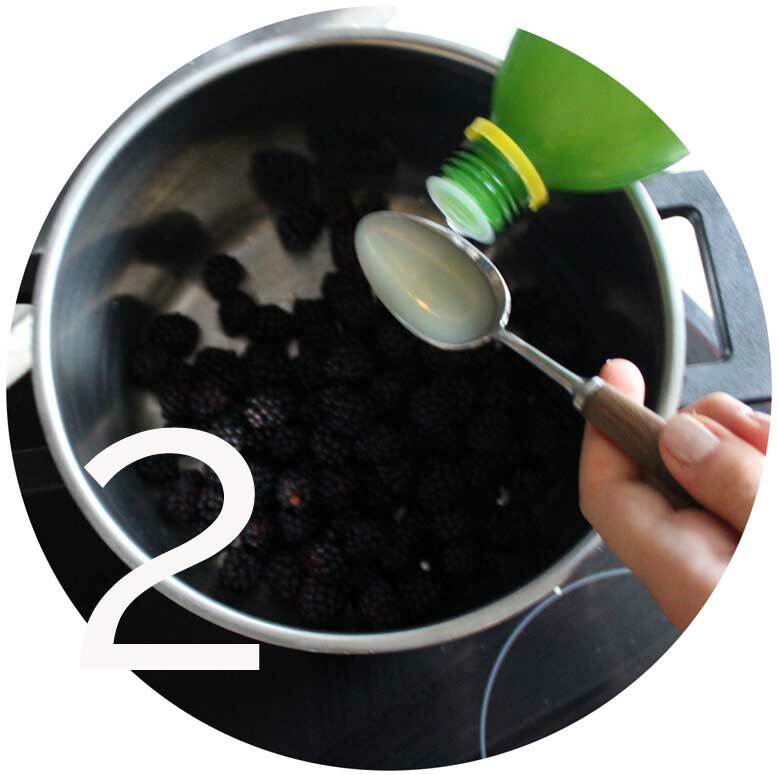 Before you begin, put a metal spoon in your freezer and boil a full kettle of water. Also prepare one or two clean dishtowels and have a roll of kitchen towel handy. 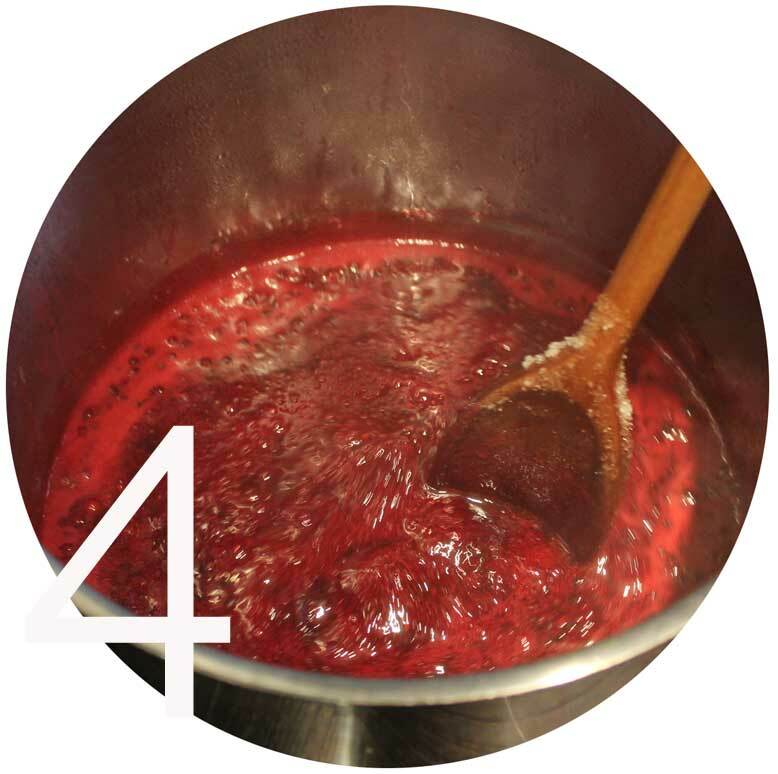 In order to test whether your jam is done, take the spoon out of the freezer, drop some of the jam mixture on it and wait a couple minutes to see if the jam sets when it cools. 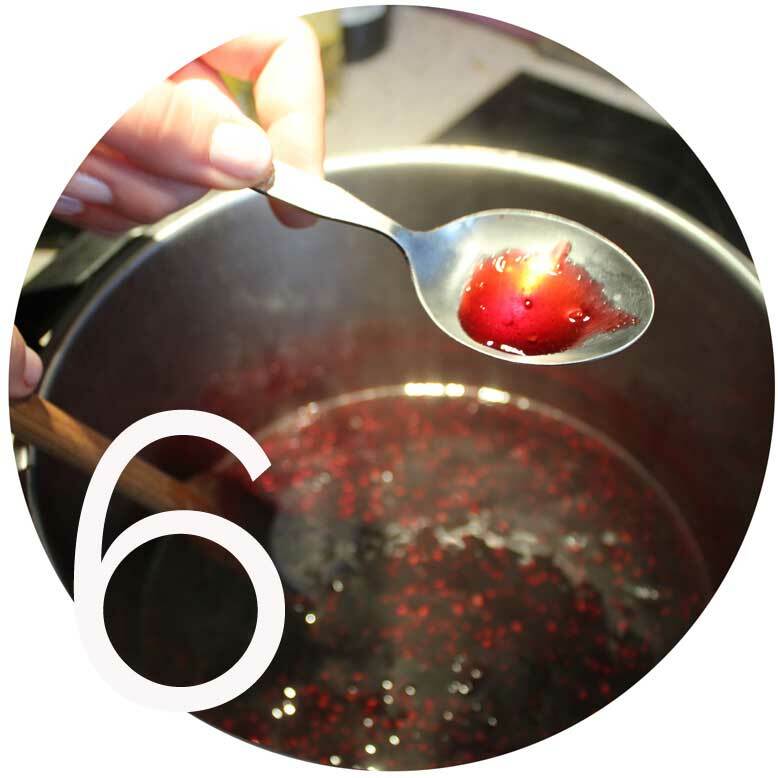 If it has set in a jelly-like consistency and is no longer liquid on the spoon, your jam is done! 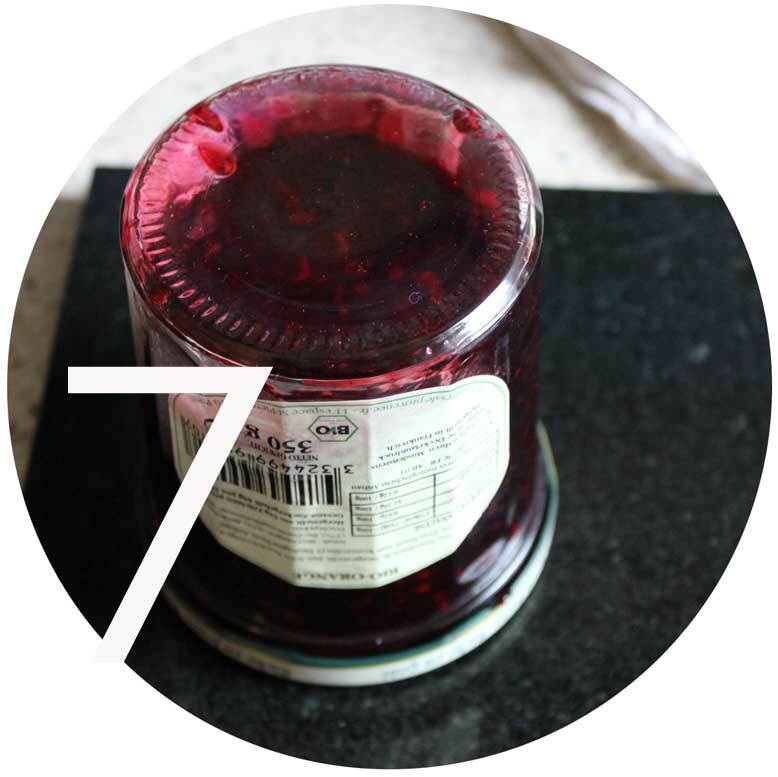 If you sterilized well, your jam should keep unopened in the pantry for up to 6 months. Once opened, keep in the fridge for up to a few weeks.